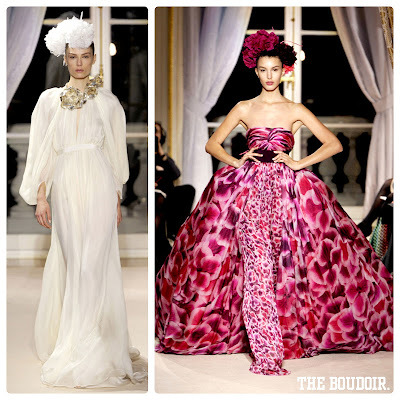 Giambattista Valli is one of the most beautiful names in the world of fashion. The creations of the brand are always artistically feminine. A piece by Giambattista Valli is a true investment. The latest haute couture collection is not different. A beautiful collection made of chiffons, laces, pinks, blacks, and whites. This is how we remember haute couture to be.